إن فندق Saint Patricks Luxury Boutique Hotel بموقعه الممتاز في كورويت هو نقطة انطلاق جيدة لنزهاتك في وارنامبول. يمكن من هنا للضيوف الاستمتاع بسهولة الوصول إلى كل ما تقدمه هذه المدينة النابضة بالحياة. سوف يعشق النزلاء موقع هذا الفندق، فهو قريب من أهم المعالم السياحية في المدينة كمثل Tower Hill Wildlife Reserve, Tower Hill Lake, Kelly Swamp . إن الخدمات التي يقدمها Saint Patricks Luxury Boutique Hotel تضمن للنزلاء إقامة مريحة. إن واي فاي مجاني في جميع الغرف, معبد, خدمة التنظيف يوميًا, مدفأة, تسجيل وصول/تسجيل خروج خاص هي جزء فقط من الخدمات التي تميز Saint Patricks Luxury Boutique Hotel عن باقي الفنادق في المدينة. استمتع بوسائل الراحة الراقية في الغرف أثناء إقامتك هنا. بعض الغرف تتضمن تلفزيون بشاشة مسطحة, اتصال لاسلكي بشبكة الإنترنت (مجاني), حوض الاسترخاء, غرف لغير المدخنين, مكيف هواء لمساعدتك على استعادة طاقتك بعد يوم طويل. يمكنك طلب اللائحة الكاملة للخدمات في الفندق ومن بينها حوض استحمام ساخن, مسار جولف - ضمن 3 كم, سبا, حديقة. 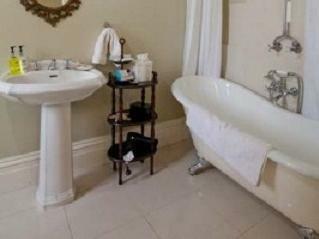 يحظى فندق Saint Patricks Luxury Boutique Hotel بموقع ممتاز وخدمات يصعب منافستها. Comfy and warm welcome received. We loved every minute of our stay at St Pats, the luxurious ultra-comfortable surroundings, stunning grounds, exquisite decor, incredible "local harvest" bumper breakfast and super-friendly, efficient service. Attention to detail in all aspects. Paris meets Rajastan in down-town Koroit! Thoroughly enjoyable! 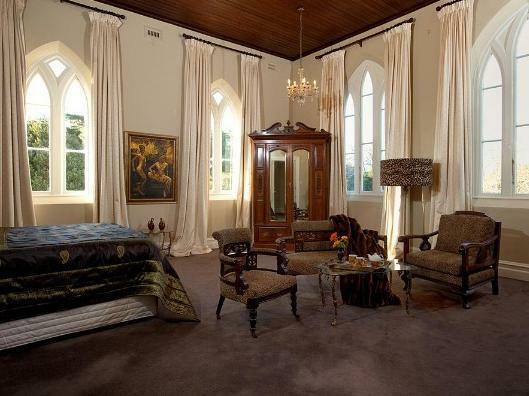 Saint Patricks boutique hotel was a jewel of a place. Beautifully renovated and refuniished with period furniture and set in a lush garden. The reception was warm and the breakfast which was included was excellent. I would definitely return. Vivian is a classic host and the b&b is an increasingly rare, special find. A stone’s throw from Tower Hill (a must see!) and nearby Port Fairy. The Convent is full of art nouveau and other antique furniture and objects. Vivienne , the owner and host, is very friendly and intelligent and left us to explore the lovely building and gardens.. go to the local Irish pub for a good pub food and beer! I would call it a B&B not a hotel, but why be picky. It is exquisitely decorated and the owners are very helpful with local sightseeing hints. I would highly recommend this as a weekend retreat or as a up scale place to stop over at on a trip through the area. 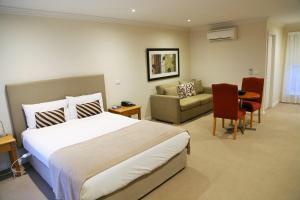 Pro: very beautiful classic boutique hotel , done by the great taste and effort of the owner. The hotel itself worth to spend a half day or more to enjoy! Love the complementary spa! Cons: location is a bit off from the Great Ocean road but it's concenient if you plan to visit the natural reserve next to it. Stayed here during Christmas and it was such a beautiful estate. Not your normal hotel - has very personal feel to it. Located in a quiet area (though a bit of a detour from Great Ocean Rd but worth it. Breakfast was fabulous and staff (owner?) was really nice. Will recommend to all my friends about this. Our stay was sadly only one night . We would loved to stay longer. 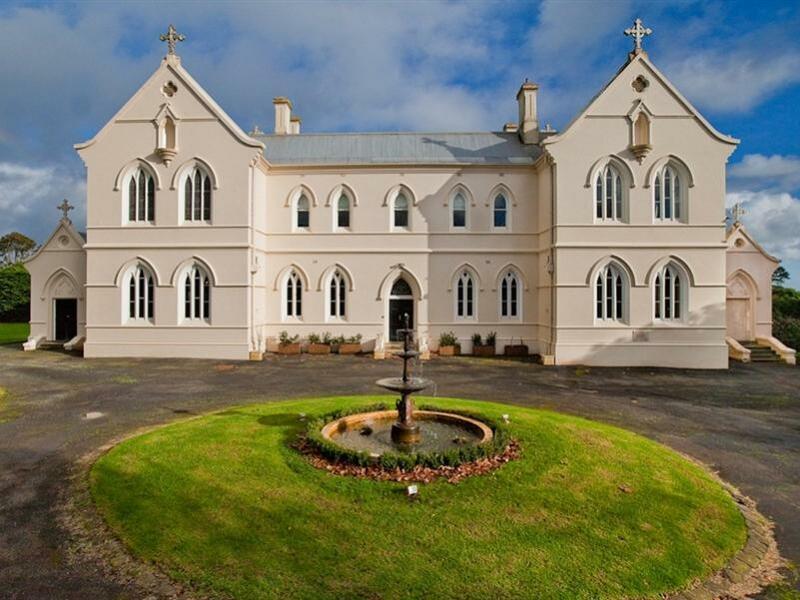 A marvellous experience in a very unusual former nunnery. The stay was great and included a free breakfast with eggs directly from the hotel itself. It's a beautiful place to stay at with loads of interesting decor. All of which were the spoils of travels from the owner. Electic decor, atmosphere, lovely host. The eclectic decor had a sense of humour while still being very tasteful. 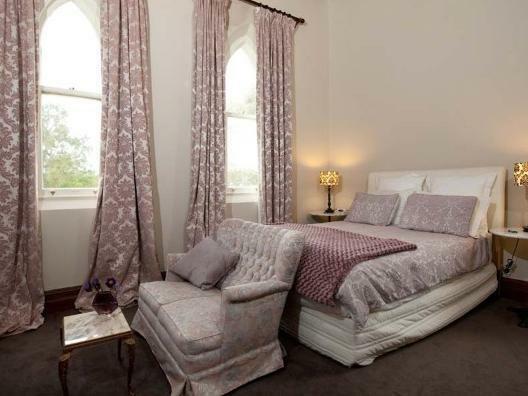 The building itself has intriguing atmosphere and the bed, bath and furnishings all very luxurious. The bed was particularly comfortable and at last, comfortable pillows in a hotel! Great attention to detail and a host who was very warm, welcoming and genuine. Lovely we wished we could have stayed longer. Would have no hesitation in recommending it to fellow travellers. Attention to detail, a very warm welcome from the owner and it's a converted convent! We would recommend this hotel to anyone and everyone. Absolutely loved it's uniqueness. The attention to every detail of the furniture and fittings is superb. If I owned this place I wouldn't let anyone stay! I worried from the pictures that this hotel/B&B would be garish. In fact, the building is lovely - an old convent with thick stone walls and almost a castle-like feel, and the decor was distinctive but not the assault on the senses that I feared. The breakfasts were lovely and, when I left some stuff behind, the owner was wonderfully helpful in getting it back to me. Overall, this stay was a highlight on our trip. 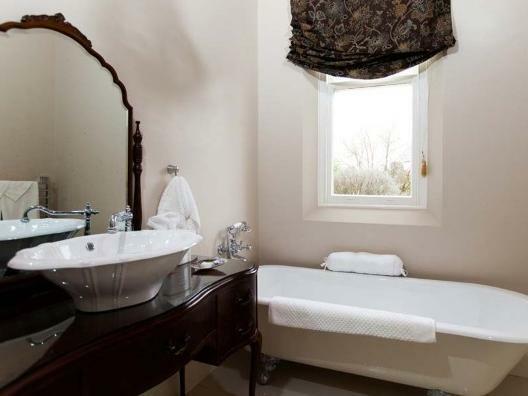 The rooms and bathrooms were very spacious and beautiful. The town of Koroit and the volcano crater were fascinating. We only stayed overnight. We were given a terrific welcome by the owner who gave us a guided tour of the hotel. The room was the smallest room in the hotel but was very comfortable and spotless. 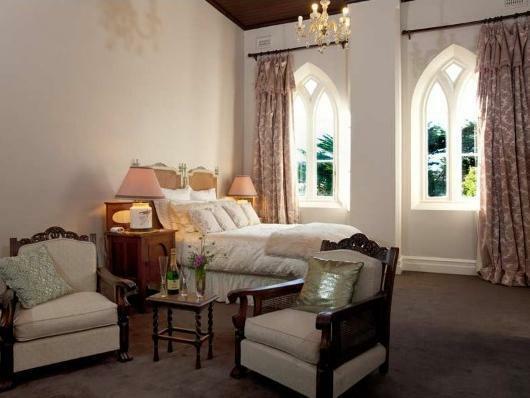 Being a former convent, this hotel has a unique atmosphere. The owner makes your stay one to remember ! It makes you feel a sort of priviliged to have been a guest. Remarkable, special and more than worthwile ! !